Safe, simple, effective and pain free. Quite simply, photonic therapy stimulates acupuncture points without needles and acupressure points without pressure. Photonic or red light therapy is a non-invasive, self-administered, pain free method to promote wellness and provide treatment for a variety of health issues in humans, horses, dogs and cats. Photonic therapy, also known as red light therapy, is a light application that can be used in conjunction with traditional modalities (acupuncture or acupressure) or by itself. Photonic therapy utilizes red light within a specific nanometer (660nm) range to clear, balance, and energize the body in an effort to promote optimal health by stimulating acupuncture and acupressure points under the skin without using needles or pressure. LISTEN NOW ! 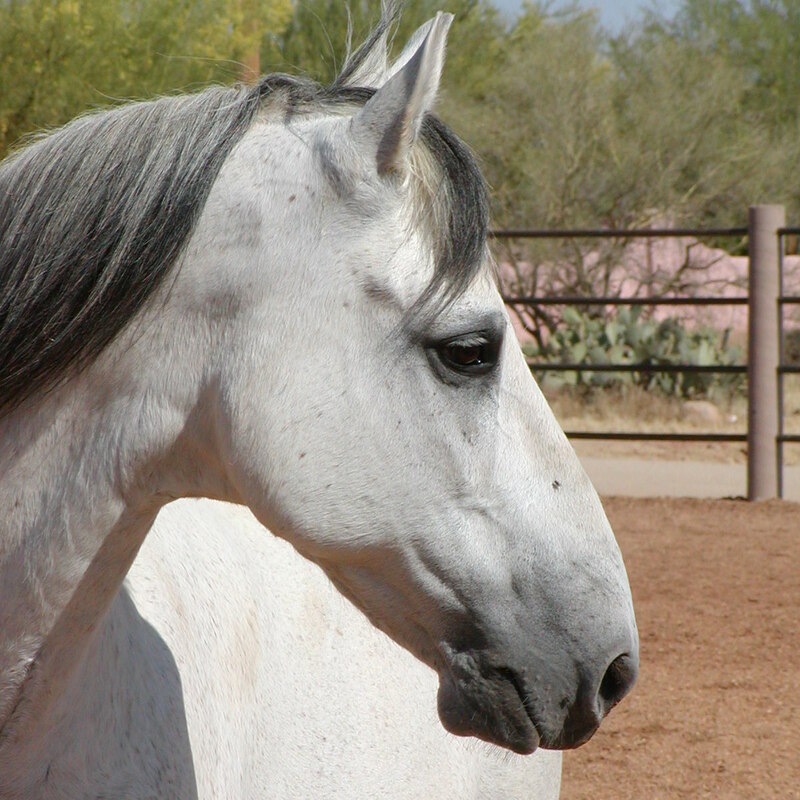 Karen has used red light therapy for over ten years on herself and her horses, dogs and cats to maintain general health and to solve chronic health issues in both herself and her animals. Karen offers an unconditional warranty on all products offered so there's no risk to try. Just return your purchase in like-new condition with original packaging and content. 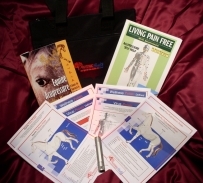 * "Living Pain Free with Acupressure" Book with detailed charts to treat over 150 maladies. 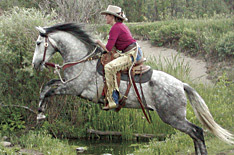 Karen has found photonic thereapy to be especially successful in relieving colic in horses and offers this method as an option in addition to traditional methods to relieve symptoms of colic in horses.